A prominent example going back to biblical times is described in the Book of Genesis, Chapter 38. Judah, a leading figure of his time, consorted with a woman who appeared to be a prostitute. In fact the woman was none other than his daughter-in-law, Tamar, disguised as a "street walker." In keeping with biblical custom of that era, Tamar sought to sustain her late husband's identity by bearing a child through one of his two brothers..
At any rate Judah consorts with Tamar an is later publicly revealed. His subsequent shame is emblematic of what men like him or Tiger Woods are willing to risk simply because they can. Apart from his willful abuse of his stature as the world's most successful athlete, I am astounded by Tiger Wood's multiple acts of infidelity for yet another reason. Here I refer to his alleged "sleepover" in bed with one girlfriend in 2006 while his father lay far away in his deathbed, dying of of prostate cancer. (See http://www.newsoftheworld.co.uk/news/636127/Star-bedded-Jamie-Jungers-as-father-lay-dying-in-hospital.html). The young woman in the accompanying tabloid photograph appears to be neither as beautiful nor as mature as Tiger's wife. But that’s beside the point. 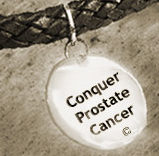 Dying of prostate cancer is among the more painful deaths known to man. It's clear he should have been with his dad and mom at that that critical hour. As such, from a religious perspective, Tiger Woods failed to adhere to the 5th Commandment to “Honor your father and mother.” Added to his heart-felt claim that his dad was his best friend, that incident was particularly reprehensible. Tiger Woods unfaithfulness to his wife is outdone only by his unfaithfulness toward his dad. The new revelations about his indiscretions are a crying shame.